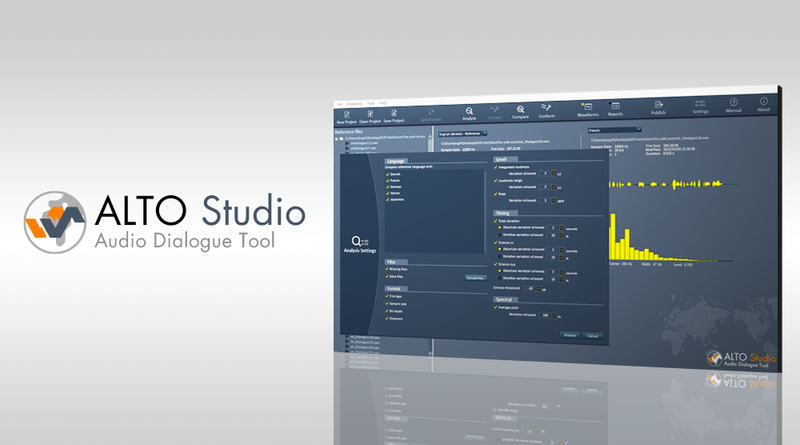 We are proud to announce the release of Alto Studio, the most powerful and versatile audio dialogue tool for games and movies. This latest iteration of Alto, which has been helping so many game teams to meet their deadlines and ship with top-quality dialogue, pushes the envelope even further. Whether you are working with a single or multiple languages, you can analyze, correct and match files automatically. The highly-optimized, multi-core engine of Alto Studio has been battle-tested in the production or localization of games from Activision, Blizzard, EA, Konami, Microsoft, NCSoft, Pinewood, TT Games, Zenimax and many more. It will process tens of thousands of audio files amazingly fast, relentlessly checking for missing or extra data, audio format errors, loudness discrepancies, silence variations etc…, correcting them and generating reports. This new version also supports Batch Processing with Tsugi’s own AudioBot™ and LipSync data generation with FaceFX™ from OC3 Entertainment. 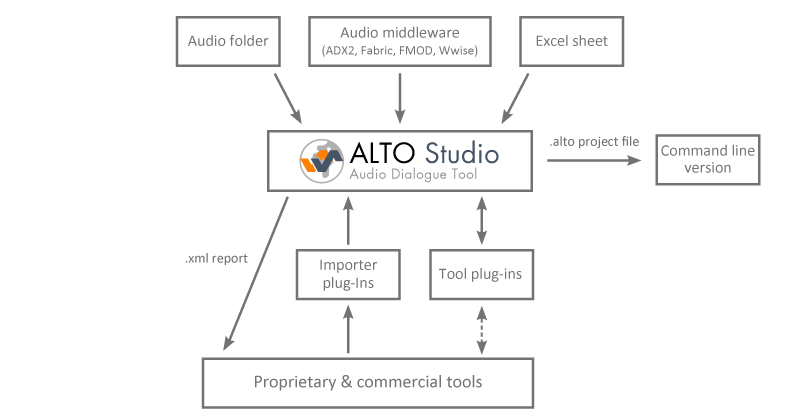 Alto Studio also integrates perfectly with your game or movie audio dialogue pipeline, supporting many styles of file hierarchies and naming schemes, game audio middleware import (ADX2, Fabric, FMOD and Wwise), a plug-in system (for proprietary importers, exporters and tools) and a command line version. Whether you are a voice-over production facility, a dubbing studio, an independent voice actor, an AR / VR developer or a game studio dealing with audio dialogue, you can leverage the powerful Alto Studio features and save time & money while increasing dialogue quality and conformity. A lot of information is also available on the Alto Studio product page and should you require a personal demonstration, don’t hesitate to book a meeting at GDC. We will be on booth #316 in the South Hall.